What if Nintendo Do Not Announce a New Animal Crossing Game this E3? For the past few years every time there is a Direct, Nintendo takes my heart and mushes it against a wall somewhere. Specially, back in March my boyfriend and I sat down to watch the latest Direct. I can remember thinking “this is it, this is going to be the one where they announce a new Animal Crossing game. It’s finally going to happen.” Do you know what they did not release? Animal Crossing. Do you know what they announced instead? Nintendo Labo! NINTENDO LABO! 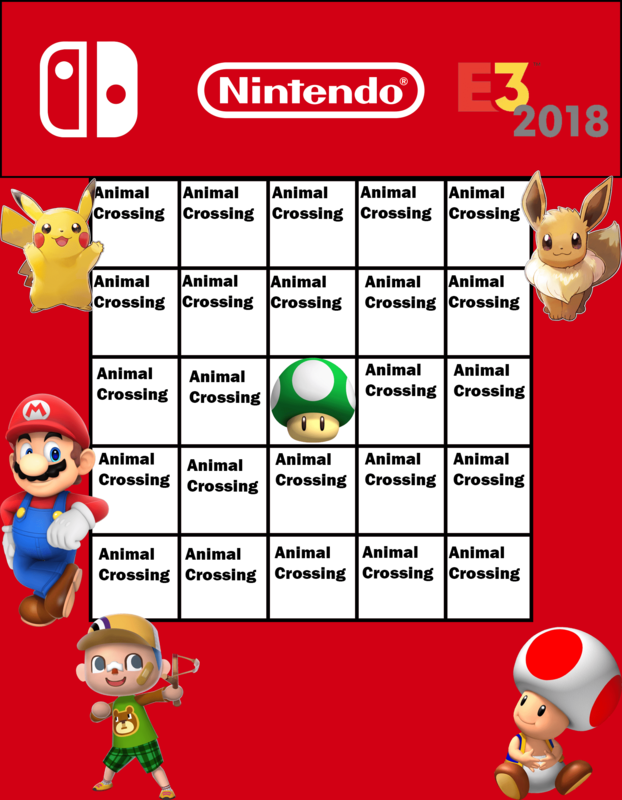 The ultimate question is, if Animal Crossing is not announced this E3, then what will? Inevitability, there will be Super Smash Bros news. If Super Smash gets no E3 air time then I will eat my Captain Toad Amiibo figure. Since previous Directs have made such a song and dance about Labo, then it would not phase me in the slightest if they came up with new sets. News about the Pokémon Let’s Go titles are pretty much guaranteed. And I suppose, arguably, that since there are already big titles to hype up the fans, then Nintendo could break my heart once again. 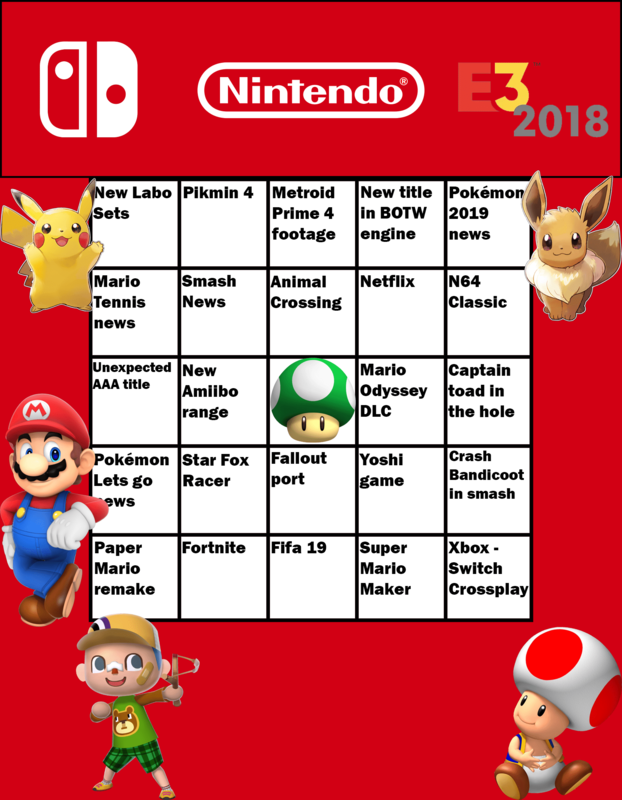 Either way, below on a very stylish bingo card is mine and my boyfriends Nintendo E3 predictions, well the realistic version anyway. So what if a brand new Animal Crossing title this E3? The short answer is that I will cry. I will sob like a man who has just been stabbed in the foot with a wooden stake repeatedly. But mostly, I will just be very disappointed with you Nintendo. But who knows what will happen? I guess we will have to wait and see what happens this evening. Next Post:5 LONG YEARS. STILL NO NEW AC TITLE. HOW COME NINTENDO? I am so hyped for the disappointment, Animal Crossing Labo Festival! !